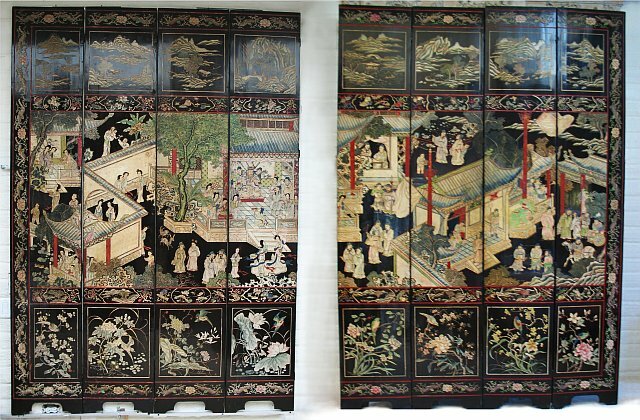 Chinese eight panel Coromandel screen with scene of court life within walled palace pavilions and gardens. 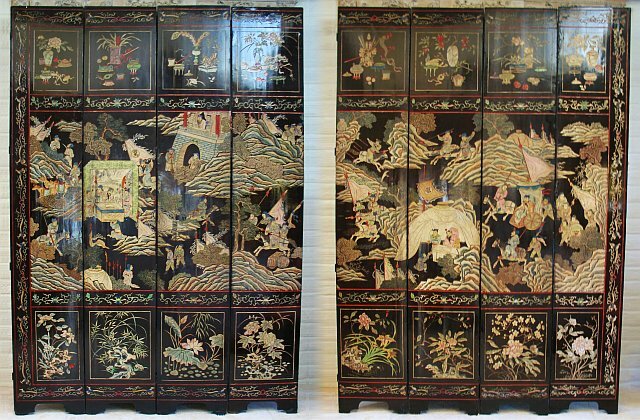 The top of each panel has an idealized landscape scene, and the bottom, birds and flowers. A border of flowers and bats encircles the entire screen. An equestrian battle scene appears on the reverse panels.